Most people crave sweetness in certain foods and drinks. The most widely-used sweetener, of course, is sugar—a generic term for a variety of sweet-tasting carbohydrates, ranging from common table sugar (sucrose) to high fructose corn syrup (glucose and fructose). Unfortunately, all types of sugar play a major role in causing cavities. When oral bacteria feed upon sugar in the foods and drinks you consume, they produce acid that destroys tooth enamel and causes decay. However, there are numerous sugar alternatives which do not react with bacteria to create acid, and therefore do not lead to cavities. All of them are available under various brand names, as well as under their generic names. 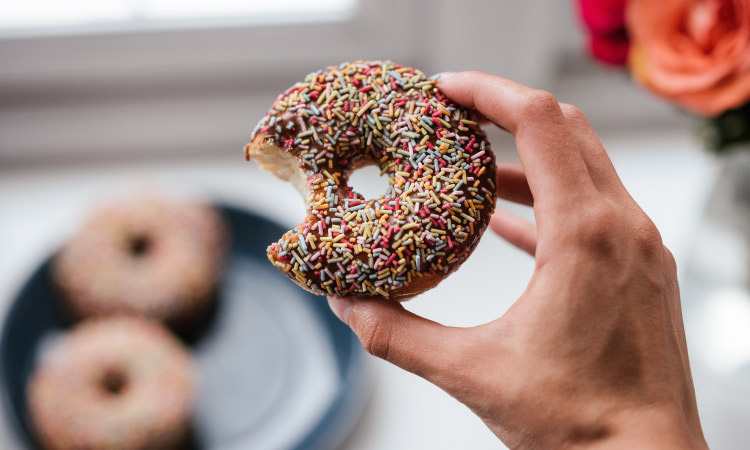 In this article, we will summarize five sugar substitutes approved for human consumption by the Food and Drug Administration (FDA). If you want the sweetest-tasting sugar substitute that money can buy, Neotame is for you. It is a whopping 7,000 to 13,000 times sweeter than table sugar! You can bake with it, too, because it’s heat stable, which means it will stay sweet even at high temperatures. Saccharin is 200 to 700 times sweeter than table sugar. Although saccharin was discovered way back in 1879, it didn’t become a mass market phenomenon until the 1950s, when it became a staple of the weight-loss craze. However, in the early 1970s, saccharin was linked to bladder cancer in rats, and products containing the sweetener were required to add a scary warning label. That requirement was lifted in 2000, after numerous tests determined that the laboratory rat tests weren’t relevant to humans and that saccharin was not a potential carcinogen. It is now deemed safe for human consumption. Sucralose is about 600 times sweeter than sugar. In addition to being available in granulated form, it is heat stable and used as a general purpose sweetener, such as for some beverages, gelatins, chewing gum, baked goods, and frozen dairy desserts. Aspartame, 200 times sweeter than table sugar, is not calorie-free. This sugar substitute is not heat stable and thus is not typically used in baked goods. However, it is popular as a tabletop sweetener, and is widely used in cold breakfast cereals, chewing gum, and carbonated beverages. Aspartame is safe for the general population but people with a rare hereditary disease known as phenylketonuria (PKU) should limit their intake of aspartame because they have a difficult time metabolizing phenylalanine, which is found in aspartame. Acesulfame potassium, also 200 times sweeter than table sugar, is heat stable and commonly found in baked goods, candies, frozen desserts, and beverages. It is also known as Acesulfame K and Ace-K. These FDA-approved sugar substitutes won’t cause cavities, but they are no substitute for daily oral hygiene and regular professional dental care. Are you due for a checkup? Contact us to schedule an appointment at Sohn Dental!